One is causing the other to question their sexuality in heaven now. Nah, all good rockers are headbangin' with Satan, man! **** Heaven. Who wants harps when you can have Fenders? Celebrating the 25th anniversary of Tom Waits' apocalyptic album, Bone Machine! Released today back in 1992. Dark, manic, raw, nocturnal and ominous... this is the sound as the Earth Died Screaming. 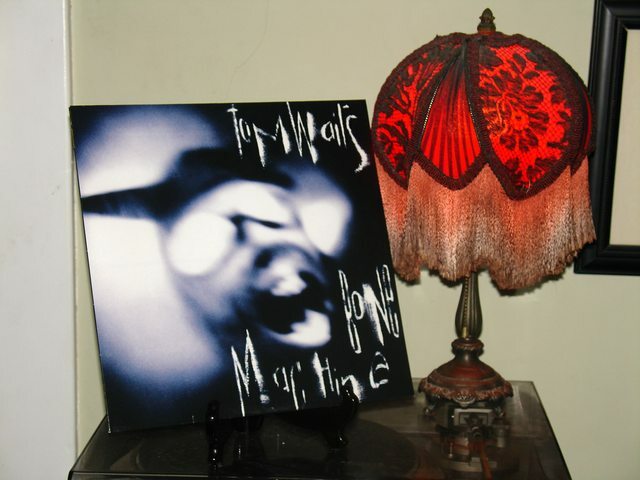 So thrilled to have this rarity on wax along with all of Tom's other albums. ****ing superb album. "Murder in the Red Barn, The Ocean Doesn't Want Me, A Little Rain, Dirt in the Ground". Oh and the amazing "Black Wings." I could go on. Actually, I think I'll just go listen to it now. ^Listen to the New York in the 1960s box set if you haven't already. Some of my favourite albums. Oh **** I found footage. Listening to this whole album. So good. She's rapidly becoming one of my favorite artists.